No, Salvia Divinorum is not your standard, pretty flower garden variety. 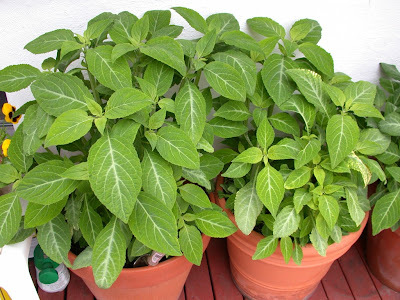 Salvia Divinorum, which we will refer to as “Salvia” was first used by the Mazatec Indian shamans in Oaxaca, Mexico during spiritual healing sessions. It is a perennial herb native to the Sierra Mazatecas in Mexico, classified in the mint family that when ingested, temporarily gives the user hallucinogenic effects somewhat similar to LSD or psilocybin mushrooms. Does it ever run through your head, “what are people going to think of trying next?”. It does ours. Add salvia to K2, Spice and other herbal incense products. These herbs are being used to replace marijuana and other drugs because they are, for the most part, not regulated by U.S. drug laws. However, there are some states that have passed laws banning the ingestion of salvia because of its psychoactive component, Salvinorin A. SAMHSHA estimated that in 2006, 1.8 million people over the age of 12 had tried ingesting salvia, either by chewing or smoking it, at least once, an increase over the 2000 estimate of 750,000. Salvia is not detected in a standard 5 or 10 panel drug test, so its use may not be known in many cases. To add to the challenge, the detection period is very short, as it metabolized through the body rapidly. Blood or urine are the most common specimens submitted for testing. Blood must be collected within one hour after ingestion in a gray top tube; and urine within twenty-four hours or the likelihood of detection is minimal. Specimens must be protected from light and frozen because salvia’s psychoactive components break down quickly. If you suspect our child or employee may be using salvia to get high, it is important to test them immediately for the greatest chance at detection.